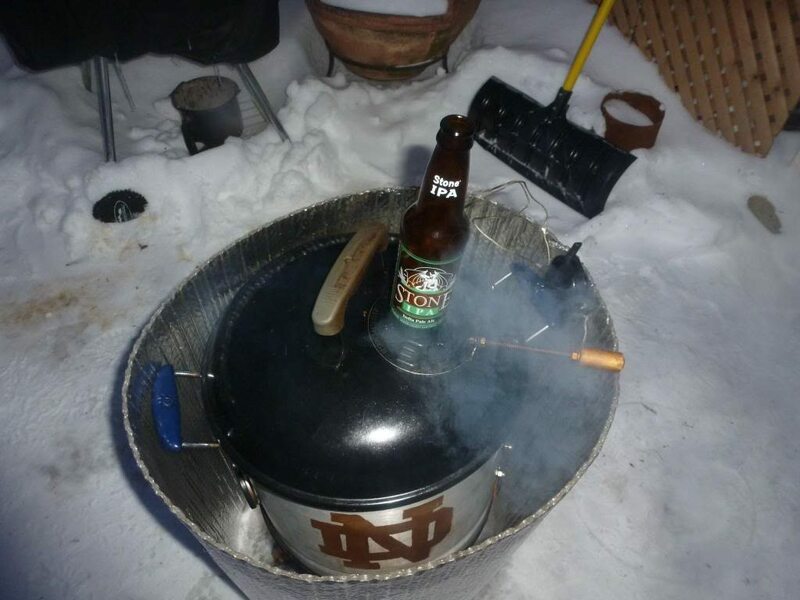 UDS blanket options - The BBQ BRETHREN FORUMS. I know people use the welding blankets ($25 @ harbor freight). anyone use this as a heat blanket for a uds in cold temps. Basically the reflective bubble insulation stuff.
" the maximum service temperature for Reflectix is just 180 degrees F"
So you'd need to keep it away from the metal. "Reflectix provides very little insulation value by itself. The R value claimed on the package depend on a sealed 'air gap' that you must create / build when you install it"
That said, I've seen something like that used by other's here. Thanks, yeah i just read the max temp rating. wonder if they make a higher rated one, but i guess by that point it will cost more and i should just get a welding blanket and be down with it. I cooked all day on New Year's Eve. It was 7* F with wind chills below zero. Using a 15+ year old WSM, no insulation, no wind shield. Lit the WSM a little after noon, food on at 1:15pm, food off at 7pm, at which time it was still humming around 285*. A little after midnight I went outside to put it in the shed but there was still lit lump burning in it. Amazing. My guess is a UDS can perform similarly. I've cooked in the 30's but not in temps like now. I guess i'm just a worry wart and always want to be prepared. By UDS is also inside my screened in porch with solid walls half way up so wind isn't really an issue. Maybe i'm over thinking and don't need anything at all. Just hard to believe cooking in east cost moist cold weather won't have terrible affects on my temps with my thin gauge barrel. It's the wool blanket for me. I fold them so they are about 20" to 24" wide, which is 3-layers. One of these days I'm going to take a stitching awl or trussing needle and make the design permanent. Big Green Eggs, Big Drum Smokers, Big Chiefs, Weber Smokey Joe "Custom Tall Boy"
I did two butts and two corned beef "pastramis" on my UDS for New Year's Eve. It was 8-10F all day. Had the vents open much further than normal, but didn't have any trouble keeping 275-285F all day. How much worse was fuel consumption? How long were your cooks? I have had my reflectix in direct contact with my UDS for about 2 years, with no ill effects. I can recommend it as a good insulator too. There are two kinds of countries in the world, those that use the metric system and the one that sent men to the moon and back. 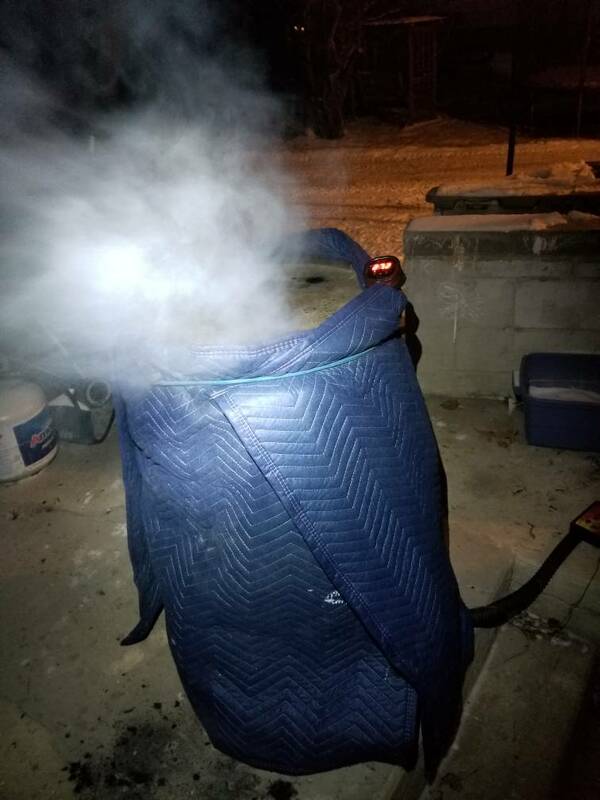 I cooked for 3+ hours yesterday on my UDS, no blanket, -14º F, no problem. I first bought a welding blanket. The first time I used it, I got glass fibers in my and and it worried me, what if that got into the food? I made a Reflectix barrier, not really a blanket as there was a 3 to 4 inch gap between the Reflectix and my WSM. I wasn't sure how well it would work, it seemed kinda thin. Fired her up, got the meats on her, and set it up around her. Within minutes, the air between the Reflectix and the WSM was quite a bit warmer than the outside temp. -4 actual temp and went 14 hours at 250. Wrapped with moving blankets. The only contact point was at the rim and the rest draped freely. Checked on it for the first 6 hours and the blanket was just "warm". Slept all night and it was still just warm in the AM. I also monitor cooks via my cell phone and have alarms if it went 20 degrees over/under the desired temp. I recommend the welding blankets as that is what I usually use but they were at the farm. Is that the same Reflectix the OP posted? Looks much stiffer.